Thistlecrack produced a phenomenal performance in last year's King George VI Chase at Kempton Park, as the Colin Tizzard-trained novice obliterated a decent field with aplomb, but as our 50-day countdown series moves on to the festive cracker, it just highlights that he could have a far tougher assignment on his hands this year, with last year's Gold Cup winner Sizing John, and RSA Chase hero Might Bite lining up on December 26. Not seen since his narrow defeat to Many Clouds in the Betbright Trial Cotswold Chase at Cheltenham in January, Thistlecrack is set for his comeback run in early December, where the Tizzard team are sure to try and get a confidence-boosting victory into him, before heading to the King George VI Chase on Boxing Day. 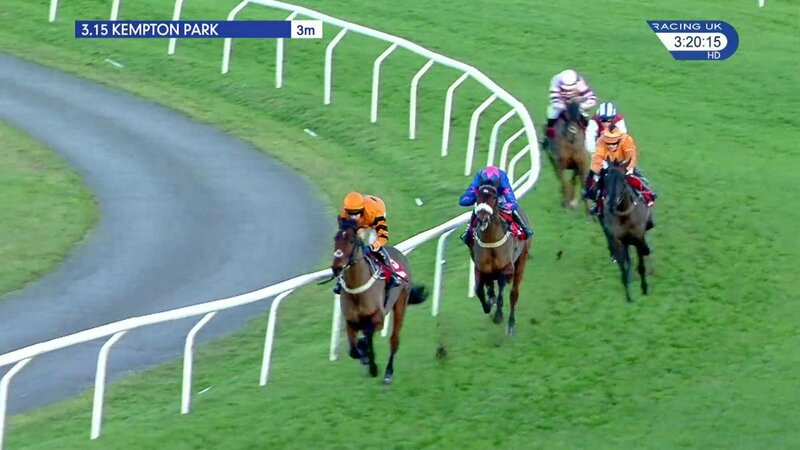 Having blossomed over the larger obstacles last year, after a dominant staying hurdling career, Thistlecrack fans will be hoping he can return on top form, but those looking to back him for the King George at 4/1 with Paddy Power are likely to wait until he returns to the track to see if he possesses the same quality on the racecourse, but if he can sparkle on his reappearance then he is sure to be a leading fancy here. Not since Kicking King stormed to glory in 2005 has an Irish-trained runner ruled the Christmas showpiece, but in 2017 the Jessica Harrington-trained Cheltenham Gold Cup hero Sizing John will fly the flag for the Emerald Isle, and he is currently fighting it for favouritism with the aforementioned Thistlecrack, and Harrington's raider is a 4/1 chance with Betfred. Imperious when stepped up in trip last season, Sizing John capped off a spectacular season with victory in the blue riband event at the Cheltenham Festival, and with his comeback run set to be in the Betfair Chase at Haydock Park in a few weeks, he is sure to be one of the main dangers here, as he goes in search of the Triple Crown, with wins in the Betfair Chase, King George VI Chase and Cheltenham Gold Cup. Nicky Henderson trained Long Run to victory in this race in 2010 and 2012, and the Seven Barrows handler will aim for more glory in the prestigious race with Might Bite, who heads into the race on the back of a narrow RSA Chase victory at the Cheltenham Festival in March, but having fallen at the last fence, when well clear, in the Kauto Star Novices' Chase at last year's Boxing Day meeting then the eight-year-old, who is 4/1 with William Hill, will hope for better luck this time around. Over ten lengths clear when approaching the final fence, Might Bite made a jolting mistake and sent Daryl Jacob out of the saddle, and he showed more quirks when edging out Whisper in the RSA Chase, as he jinked right up the Cheltenham hill, but just managed to grab victory, so while he has shown he oozes class, he will need to perform at his very best, if he is to bag glory here. Willie Mullins hasn't trained the winner of the King George VI Chase since 2001 when Florida Pearl was victorious, and it's unlikely that his superstar Douvan will line up on Boxing Day, as the dominant two-miler has not been seen since flopping in the Queen Mother Champion Chase in March, and having not raced over three miles in his Rules career, then it's likely that Mullins will opt for a much easier assignment on home shores for his first run of the season. Djakadam could represent the Co. Carlow handler, but at 20/1 with various firms he is one that could struggle, and it would be no surprise to see him lining up in the Lexus Chase on home soil, as he can often find it tough at the very top level. 2015 hero Cue Card could be the second shot fired by the Colin Tizzard gun, but he made a disappointing reappearance on Saturday, as he fell in the Charlie Hall Chase, and he drifted to 20/1 with bet365, and it could be more likely that Tizzard unleashes Fox Norton alongsides Thistlecrack, but he is another that is yet to tackle three miles, but would be an eye-catching runner. Native River (25/1) is another classy Colin Tizzard-trained runner who is featured in the latest King George betting, but he may return to Chepstow for a tilt at retaining his Welsh Grand National crown over the Christmas period, while Nigel Twiston-Davies's Bristol De Mai was a fine winner of the abovementioned Charlie Hall Chase, and could be a lively outsider, should he take his place in what should be a star-studded field on December 26. The 2010 King George VI Chase was actually run on January 15, 2011, as the Kempton Park Boxing Day fixtures was cancelled due to snow and frost. 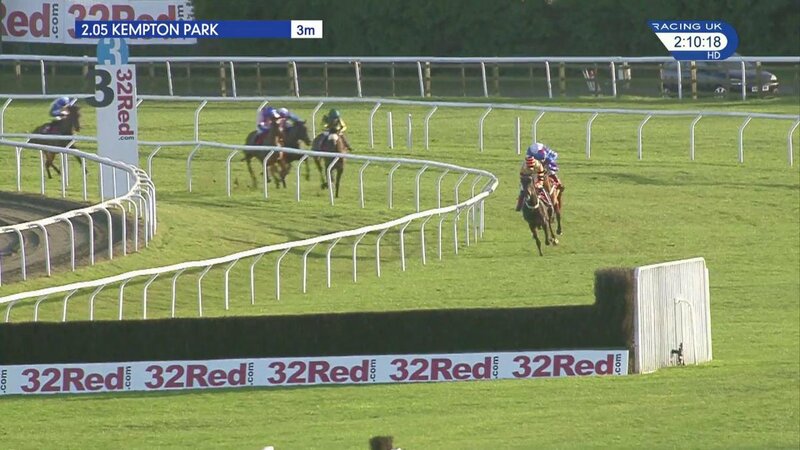 The rescheduled King George also produced a shock winner, as the then four-times winner Kauto Star could only finish third in the race, when piloted by AP McCoy, as the new kid on the block, Long Run stormed to an emphatic victory, and downed the Paul Nicholls-trained legend in stunning fashion. Off the bridle a long way from home, Kauto Star made a glaring error at the second last fence, and left Sam Waley-Cohen miles clear on Long Run, who produced a sensational performance in the Grade 1 contest, and that was to be his first of two wins in the race, as he also went on to reign in the 2012 King George VI Chase.